Snickerdoodle cookies have a spicy and sweet taste. 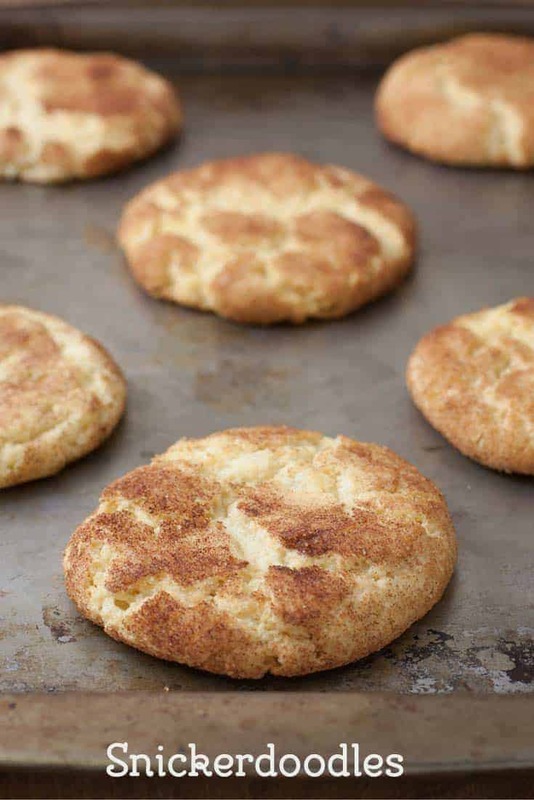 Home » Cookie Recipes » Snickerdoodle cookies have a spicy and sweet taste. Looking for a different cookie, that has a unique taste, the cinnamon, and cream of tartar add a special flavor to these crackly surfaced cookies. One of my earliest memories was making snickerdoodles when I was a girl scout. Since then I have made these cookies for cookie exchanges, and when I wanted something sweet, and tangy. If you haven’t tried these cookies before, you are missing out. These cookies are rolled in cinnamon and sugar to give them a wonderful crunchy crust. Do you need to make cookies, but you don’t have any chocolate chips, peanut butter, or oatmeal? I bet you have what you need on hand to make snickerdoodle cookies. These are simple cookies to make, and you don’t need a lot of exotic ingredients to put together this classic cookie. Snickerdoodles are basically a sugar cookie that is rolled in sugar and cinnamon. By rolling the cookie into the mixture of cinnamon and sugar, you make a crispy coating with the perfect amount of spice. Snickerdoodles are a wonderful sweet and savory cookie. Preheat oven to 400 degrees. Mix butter, sugar and eggs thoroughly with a mixer. Sift dry ingredients together and stir into first mixture. Chill dough, form in balls, roll in cinnamon and sugar mixture. Bake at 400 degrees for 8-10 minutes on greased cookie sheet. They will flatten out as they bake. These remind me of the ones I had growing up!